Prominent & Leading Manufacturer from Kochi, we offer grape crush, strawberry crush, butter scotch crush, mango crush, apple crush and kiwi crush. 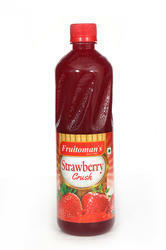 We are actively engaged in offering the superior quality collection of Grape Crush to our customers. The offered crush is processed from the premium quality ingredients and advanced techniques. In order to ensure the tastes and freshness of these crushes, our quality auditors strictly check the entire range against diverse parameters of quality. Furthermore, we deliver this crush at our customers’ premises within the given time-frame. We are remarkable organization engaged in providing the highest quality range of Strawberry Crush that is widely appreciated and demanded amongst our clients due to its tangy taste. The offered strawberry crush is processed hygienically by using fresh ingredients and advanced technology under the expert guidance of our trained professionals. Moreover, our clients can avail these crushes from us at very competitive prices. 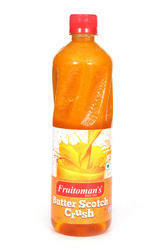 Our entity is involved in offering Butter Scotch Crush, which is processed under hygienic conditions. The offered crush is prepared from optimal quality ingredients at well-furnished fabrication unit. Our patrons can buy this array at affordable rates. Acknowledged for taste, this product is available in various packing options. 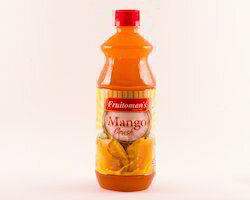 Being a client centric firm, we are instrumental in presenting a premium quality array of Mango Crush that is highly recommended for its excellent taste in the market. Processed from superior quality ingredients, the offered crush is also tested against several quality parameters by our skilled professionals. 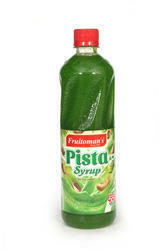 In order to retain its long shelf life, we offer this crush in a high-quality packaging material. Our patrons can avail these products at affordable rates.